The National Institute of Health claims that 2.9 percent of cancers involve the pharynx and oral cavity. The oral cavity includes the mouth, tongue, and throat. It’s important to familiarize yourself with some of the common signs of mouth cancer, so that you can make an appointment with your local Orem, Utah dentist if anything seems amiss. There are some things that can put you at a higher risk of developing mouth cancer. Smoking and drinking can lead to mouth cancer in some cases. Additionally, older patients are typically more susceptible to cancer due to poor health habits and their lower resistance to infection. Signs of mouth cancer include mouth sores that won’t go away. If you notice a sore in your mouth that doesn’t heal within a two week period, you should make an appointment to visit your dentist. 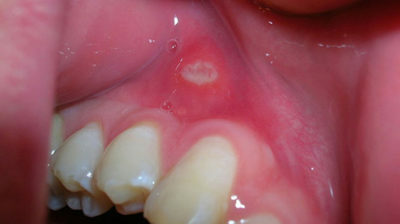 Often sores are a result of spicy foods, poor brushing techniques, or other trauma to the mouth, and they will heal on their own, but if the sore persists it could be an indication of something more serious. Bumps or swelling on your tongue that you can’t trace back to a specific trauma or accident should be examined by your dentist immediately. Bumps or swelling can occur on the sides, top, or bottom of your tongue. Bumps can also appear on your inner cheeks and lips. There are several reasons that bumps and swelling may occur, such as sharp teeth, but a dentist will need to see them to determine the actual cause. You may be tempted to do a self examination of your mouth, but it’s advised that you see a professional to determine if you have oral cancer or not. Your dentist can perform a screening for oral cancer using visual inspection, scopes, special lighting equipment, and even staining techniques to look for abnormal tissues. Dental x-rays may also be employed to help identify mouth cancer. Don’t be afraid to ask for an oral cancer screening if you suspect you may be showing symptoms. If your dentist identifies unusual tissue in your mouth, they will conduct a biopsy and may surgically need to remove all or part of the tissue. This tissue will be sent to a pathologist for further observation. If cancerous cells are found, your dentist will help you determine the best course of action. Early detection and treatment of oral cancer contributes to higher survival rates. If you suspect something is not right, make an appointment to see your dentist as soon as possible. It’s better to be safe than sorry.